In a vocational context, a nationally recognised qualification is one that is endorsed by an awarding body (Central YMCA Qualifications, OCR, City & Guilds etc) to ensure that its content is in line with the knowledge and skills required by employers. The standards, or ‘performance criteria’ contained within awarding body qualifications are devised by teams of leading industry-specific specialists to ensure that the qualification remains current, relevant and above all of value to you. Awarding bodies are meticulously inspected and monitored by Sector Skills Councils and other government agencies to ensure that the qualifications are of sufficient quality. The Sector Skills Council for the Sport and Active Leisure Sector, ‘Skills Active’, is responsible for the regulation of health and fitness qualifications. In order for an education programme to be regarded as a qualification, and not simply a ‘course’, it must sit on the Qualification Credit Framework or QCF (formerly the National Qualification Framework or NQF). As of the 31st December 2010 the NQF will cease to exist in its current format, and as such all qualifications must satisfy the regulations and requirements of the QCF. It is perhaps worth noting at this point that the Register of Exercise Professionals or REPs is not an Awarding Body which means education programmes endorsed by REPs are not necessarily qualifications. Education programmes can be endorsed by REPs as continuing professional development (CPD) programmes based on their size, level and content. Whilst such programmes may indeed contain high-quality information, they are not qualifications! 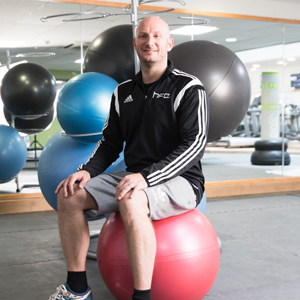 All fitness industry qualifications available through awarding bodies are approved by REPs, but not all education programmes endorsed by REPs are accredited qualifications- this often leads to a great deal of confusion and disappointment amongst learners when trying to obtain indemnity and liability insurance. As a general rule, if an education programme is awarded 16 REPs points or less, it is likely to only be a training course and not a qualification. If the programme is allocated 20 REPs CPD (the most that can be awarded for a single programme) it is highly likely that the programme is a recognised awarding body qualification. If you are in any doubt about the status of your training course, check with your training provider to ensure that it is certificated by a credible awarding body and carries 20 REPs CPD points.